I have been working on this drink design almost as long as the blog has been in existence (about 4 years?). While it has gone through several significant changes over the years, I’m finally ready to present it as another MoM original! It was my purchase of Heering Cherry Liqueur which allowed for the final breakthrough in making this drink possible. It’s sweet but strong taste of fresh cherries is what gives this layered shooter it’s distinct color and flavor. 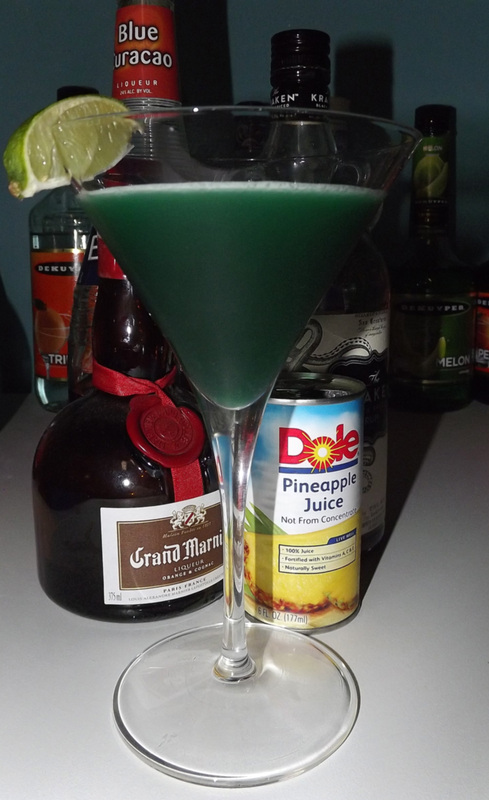 So unlike many of the drinks on this site, this one is a bit more ingredient specific. While I’m sure you could substitute one ingredient for another, I feel it would be a disservice to yourself or your guest to cheapen out on anything here. Like most layered cocktails and shots the presentation on this drink is top notch. 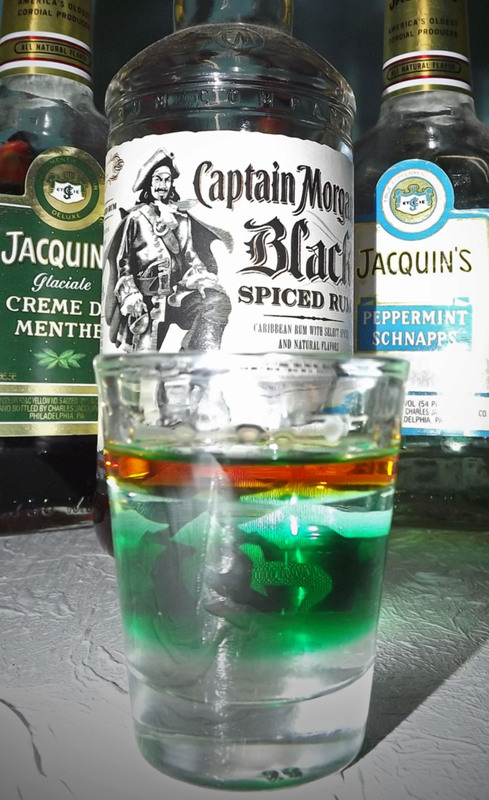 For a layered shot you’re only aroma will really be your top layer, so in this it’s the Kraken Rum (but since that’s my favorite you’ll see no objections for me). Shots go by quick, so tasting notes are a little tough. You’ll get a hit of rum, followed quickly by mild cherry, and a nice finish of sweet raspberry. I find that the key to a great shot is one that doesn’t burn all the way down and make you hate yourself. The Heart of Darkness starts pretty mild (as far as layered shots go) and remains pleasant the whole way down. If you’re looking for something for your next party to impress your friends with, give this a try. Especially if you’re wary of trying a layered drink (as the raspberry makes the daunting task a breeze). In a (modern style) shot glass place a single raspberry. Slowly pour over each ingredient starting with the sweet lime juice and finishing with the rum. 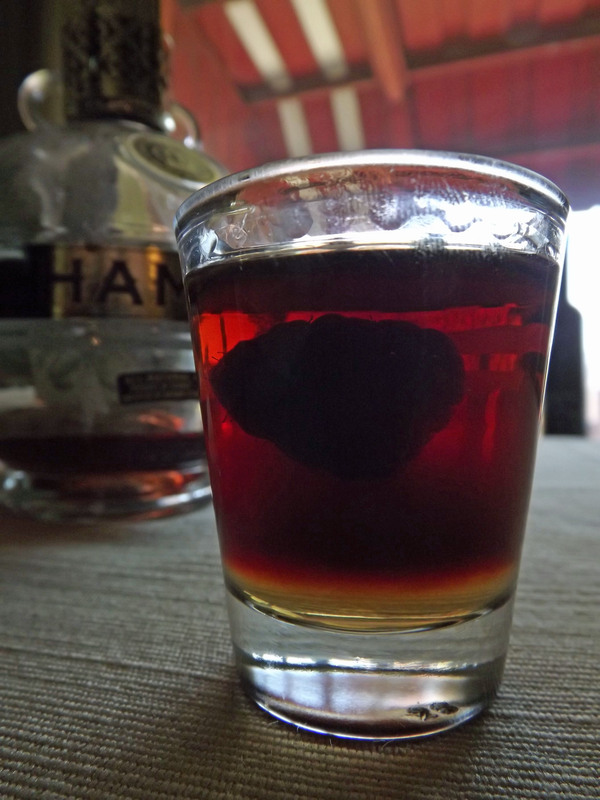 Serve with a tooth pick to spear the raspberry and eat it then down the shot. No name. No fancy setup. No witty comments. I came home from work the other day and just wanted some dark rum. 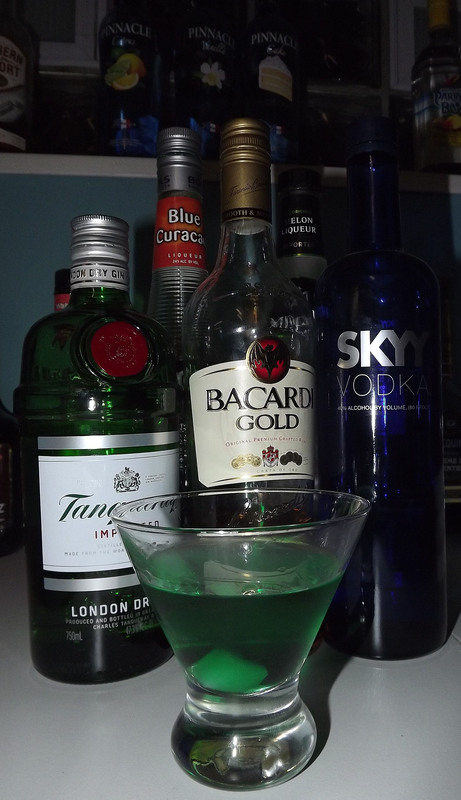 However, being summer I didn’t want it straight, nor was I in the mood to mix up a tiki style drink. So I thought simple. 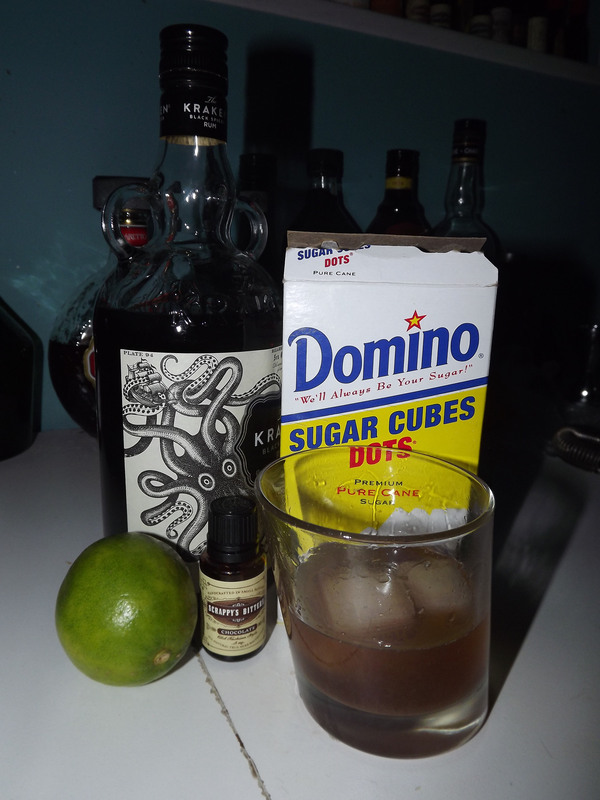 VERY simple, and modeled this drink after the old fashioned. 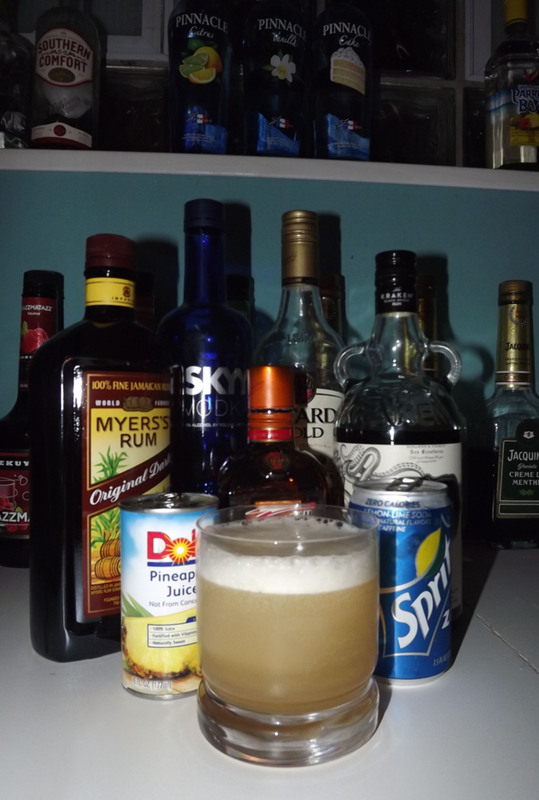 Taking a bit of inspiration from The Drunken Moogle once again, this is my first original video game cocktail. The game if you are unfamiliar with it is a large open world space simulator. 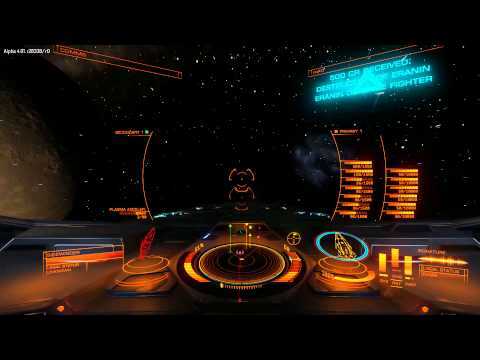 While there is some trading, bounty hunting, and exploring, most of the time you’re enjoying the soundtrack while flying through empty star filled space. The inspiration of this drink was the basic cockpit view of mostly orange over the darkness of space. I played quite a bit with the idea of an orange liqueur floating over the drink, but decided to use an actual orange slice as a garnish to get the right balance of color for the drink. So on to the drink’s flavor and presentation. The drink itself is a deep purple color, but if you weren’t holding it up to the light all you’d call it was “black.” The orange on the drink gives bit of mystery as to exactly what flavors are in play here. The drinks has an inviting juicy aroma, with a subtle bit spiced rum. 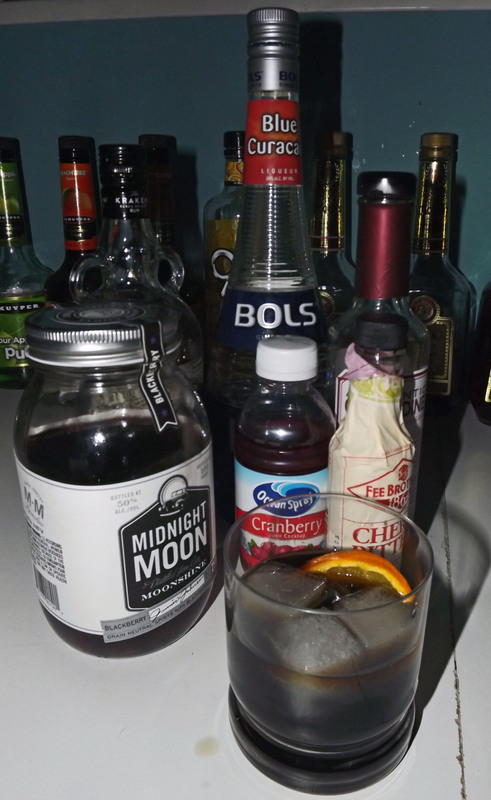 The drink starts with a nice sweet start, a strong rum taste on the mid-palette, then finishes to a complex fruity taste of the mix of juices and moonshine. It should be noted that the grenadine you use will be very important here. Don’t use a cheap bottle of Rose’s but instead look for something that actually gives you the natural pomegranate flavor. I’m also not usually one to specifically recommend a brand name alcohol, but I think anything other than Kraken would ruin the cocktail. This drink is to give you the idea of life in a large galaxy of traders, explorers, and pirates. It’s a drink that inspires the makeshift alcohol of space living (thanks to the moonshine) but the complexity of 1000 years of cocktail evolution. Take a sip and jump into hyperspace with this MoM Original! Mix all liquid ingredients, but the Kraken in an iced tumbler or lowball glass. 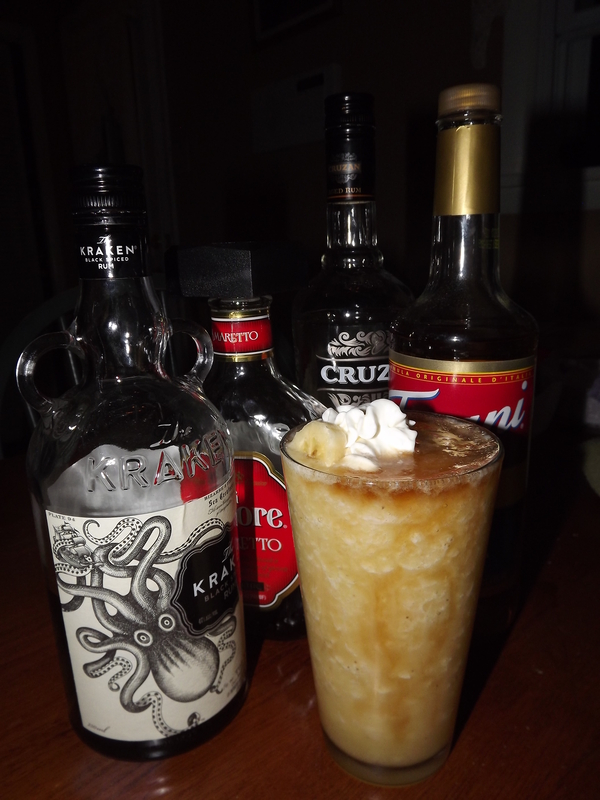 Float Kraken Rum by pouring it slowly over the ice. Slowly add in orange (as to not break the rum float). Enjoy!